Your mind is a garden. 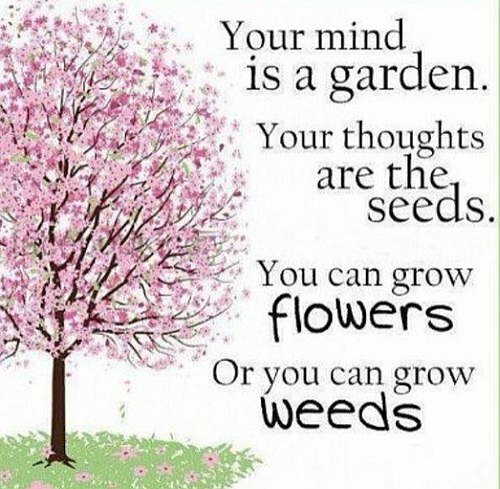 Your thoughts are the seeds. You can grow flowers. Or you can grow weeds.